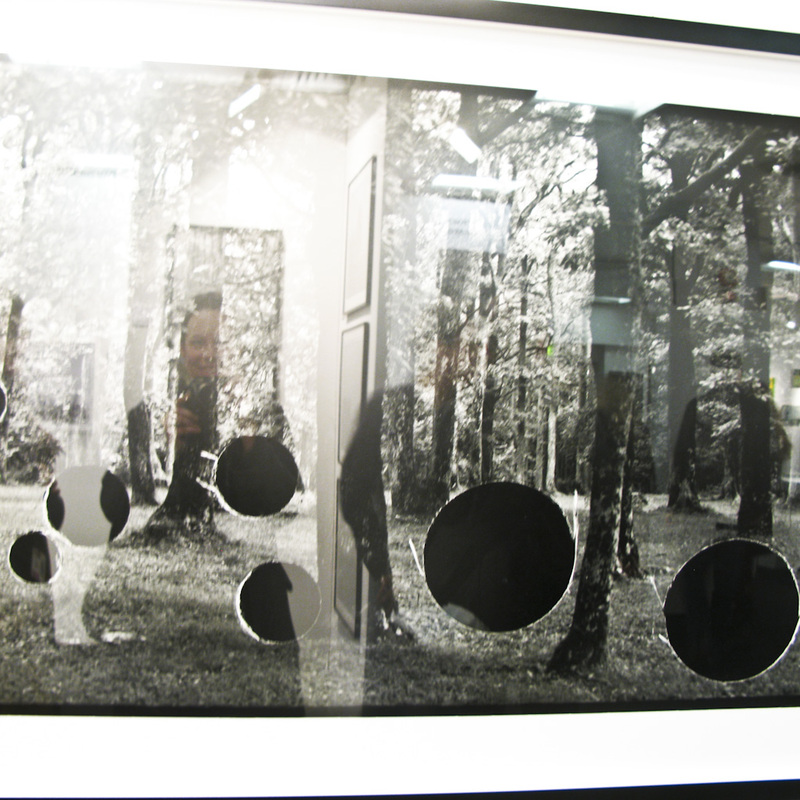 Egidija's Notebook: London Art Fair: Aliki Braine's altered landscapes for big walls. London Art Fair: Aliki Braine's altered landscapes for big walls. Big landscapes! That Australian man would be oh so happy! Except that Aliki Braine's landscapes are punched, so I am not sure how they fit into the category of "lovely pictures". 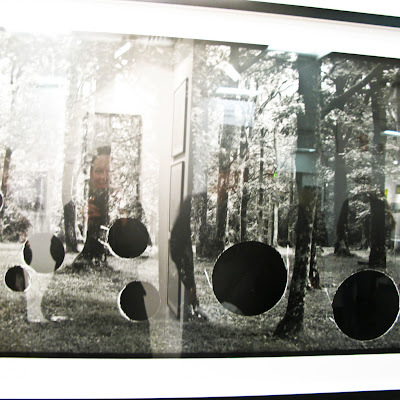 Aliki is interested in how a photograph can be transformed into an object and uses destructive techniques to disrupt her otherwise pastoral landscape images. Often cutting, drawing with ink or punching holes into the negative her violation of the pristine surface of the photograph forces the viewer to look towards the texture of the photographic paper and opens up a new understanding of the photographic process and image making. For Aliki the hole puncher acts in much the same way as a painter's brush, enabling her to make a mark on her photographic canvas. (From Troika Editions website). PS I have just realized, that I really do like artwork with absence.